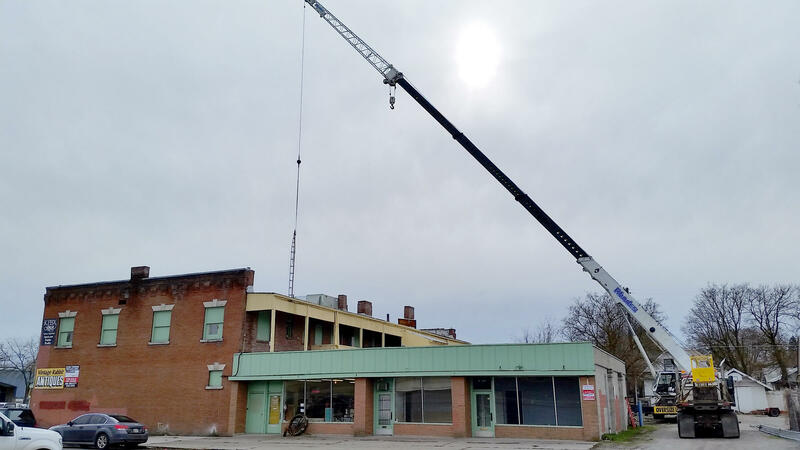 A crane lifts the last tower off of the Hoban Building on Wednesday morning, Feb. 17. 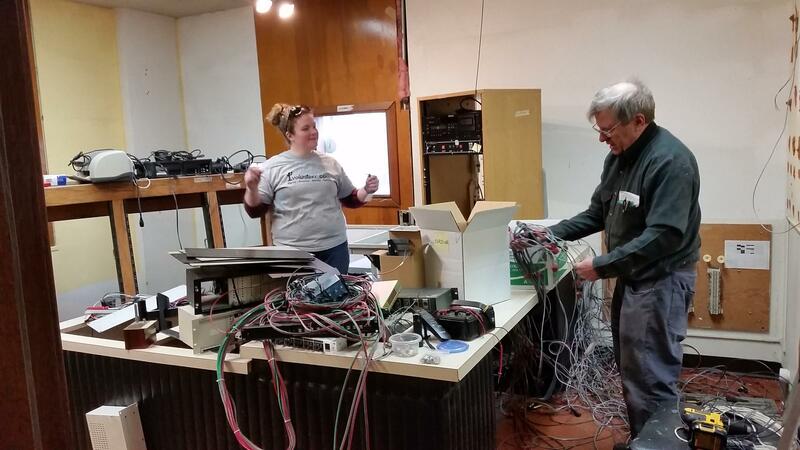 Controlled Chaos: Neesha Schrom and Jerry Olson unravel the miles of cables and wires in the former KPBX studio. Brian Flick in the small room just off KPBX that housed computer servers and controls for various equipment. 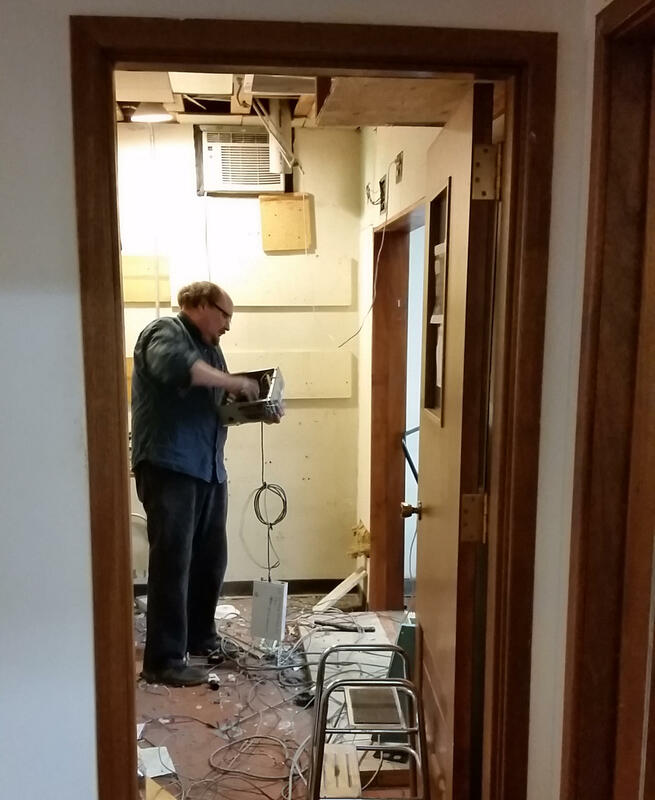 After more than 35 years operating from the Hoban Building, SPR spent two months removing traces of having been there. 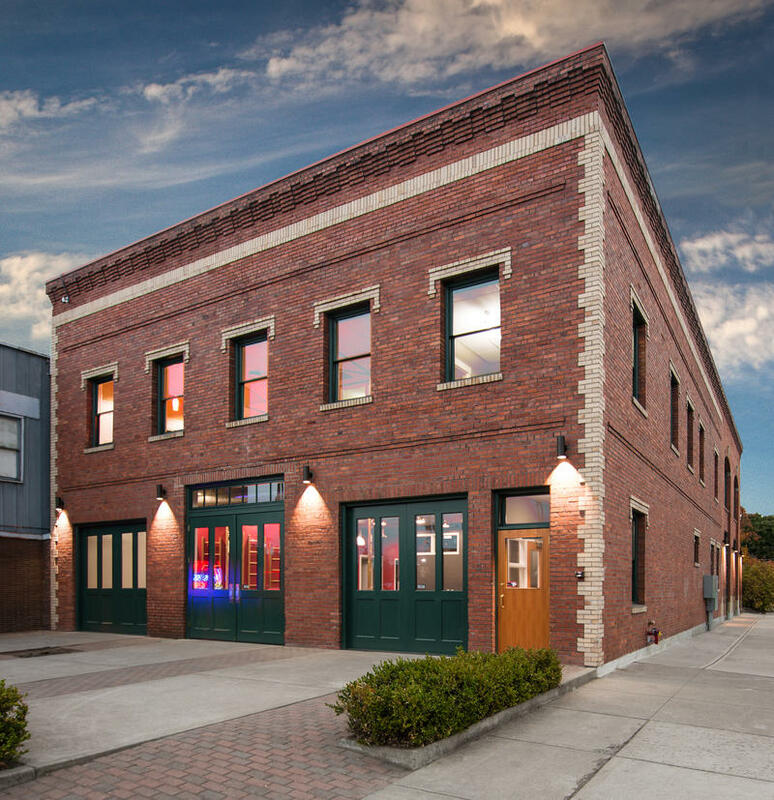 SPR occupied the second floor of the building at Monroe and Carlisle from late 1979 until February 2016. 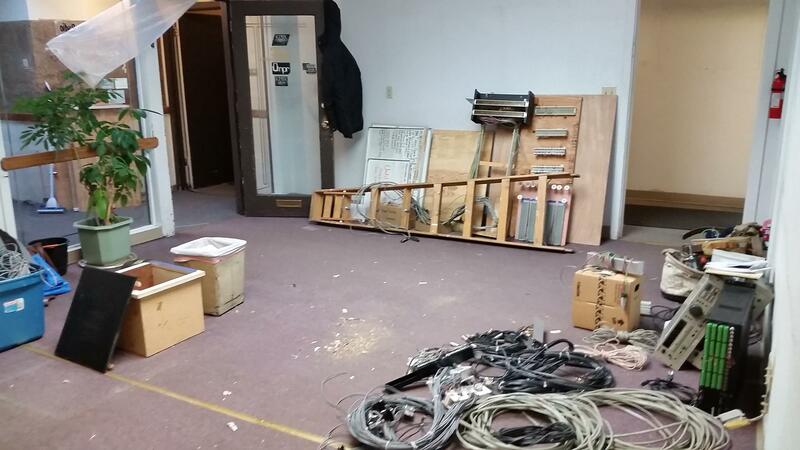 Engineer Jerry Olson led the expedition through cables, false walls, and equipment that wasn't crucial to initial broadcasting at SPR's Fire Station. Like any good renters, the staff cleared out everything that wasn't part of the rooms when we moved in.The photos were taken before a final once-over by The Cleaning Authority. Thanks also to MenGoats Hauling, The Salvation Army, and Earthworks Recycling for assistance. 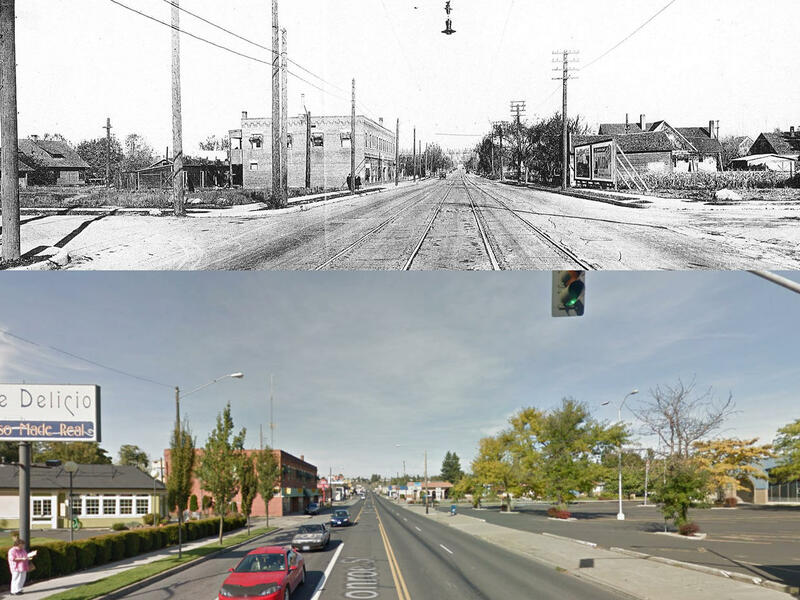 Top: Early 1900s image of North Monroe from Montgomery Ave. On the left is SPR's first home, the Hoban Building and its apartment garages, surrounded by empty lots and a field. Bottom: Same area as shown in Google Street View (2015). 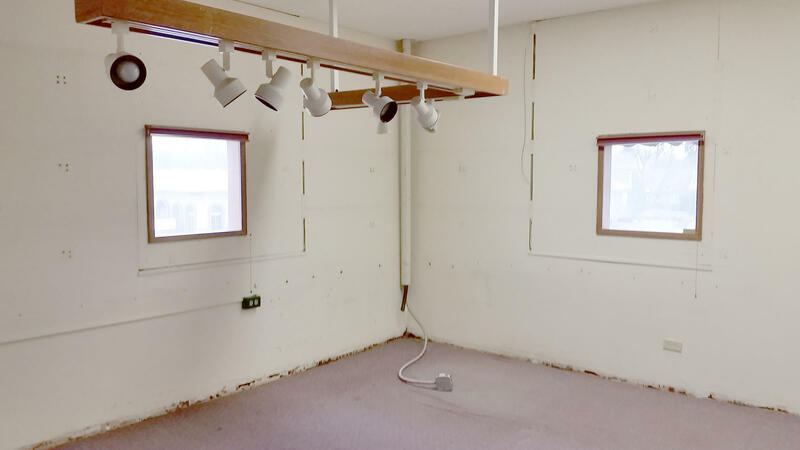 No piano, just the oddly-shaped walls that helped balance the sound in the old performance studio. 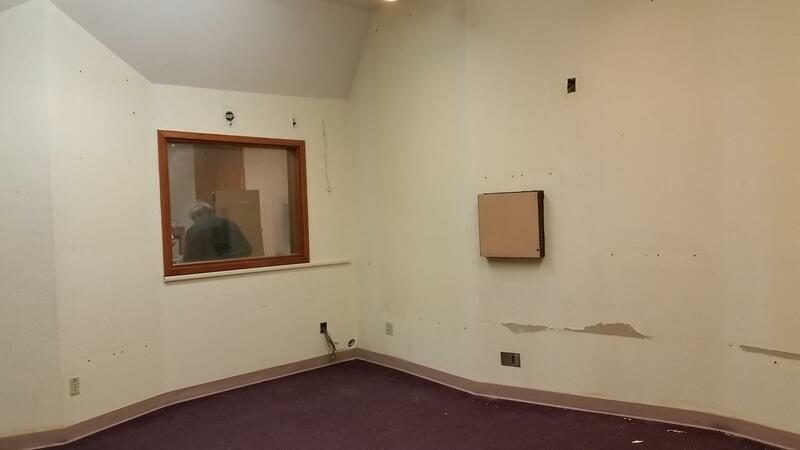 The former KSFC studio no longer has the large handmade counter or the colorful sound dampers on the wall. The last loads wait in the former SPR Lobby.